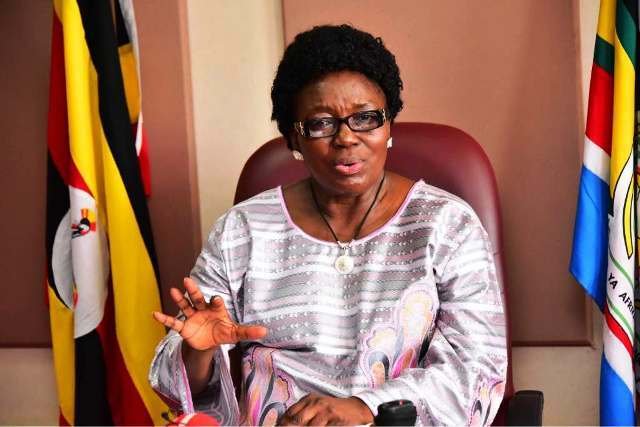 KAMPALA – The Bagungu Community Association (BACA) have petitioned Parliament to review the permanent compulsory land acquisition system to enable landowners to repossess their land after oil exploration projects are completed. The Patron BACA Dr. Enock Bigirwa who presented the petition while appearing before the Natural Resources Committee of Parliament on Tuesday, February 26, said Parliament should come up with a systematic demarcation of land by issuing land titles and communal land titles prior to compulsory land acquisition. “We request that you come with a robust environment protection programme to protect wetlands and promote tree planting in line with the Tree Planting Act, 2003 and fisheries conservation and replenishing; and management of oil spillover and its effects to the environment, including funds for its implementation,” Mr. Bigirwa said. Mr. Bigirwa added that Parliament should prevail on oil companies to disclose all the negative, social, economic and environmental effects for preparedness. They should also respect and protect the Bagungu cultural heritage without renaming villages to names such as Tilenga, Kasemene, Taitai, Ngiri, Mpyo, Kasurubano, Ngora, among others. He added that they should regulate the influx and the transhumance of immigrants and migrants to reduce pressure on the forests, fisheries, wetlands, and social services. Among their petitions, the Bagungu want Parliament to come up with a comprehensive integrated development planning for alternative livelihoods for communities to ensure diversification and post-oil long-lasting and improved standard of living. The host community prefers resettlement and not cash compensation per se, come up with a strategy to ensure inclusion and participation of the Bagungu in positions of leadership as an affirmative action to address marginalization by considering them for appointment on boards, as ambassadors, Cabinet Ministers, among other key positions. The petition also stated that government should honour its pledge for a technical business vocational college as a remedy to having missed out on State House scholarships and oil and gas trainings, implement the revocation and rescission of all fraudulent land titles by Minister of Lands in January 2017 in accordance with the Presidential Moratorium Directive in 2010 and revoked fraudulent titles should not be used as evidence against the customary landowners. Buliisa-Bagungu MP, Stephen Mukitale said the Bagungu, due to historical injustices for having resisted British imperialism with Omukama Kabalega of the current Bunyoro Kitara Kingdom, were marginalized and excluded from Uganda’s development programmes during the colonial period and post-independence to date. Since the oil exploration started in the early 2000s, there has been minimal consultation with community members over the progress of the project, yet so far about fifty oil wells have been drilled in Buliisa District. Mr. Mukitale added that failure to involve the local communities resulted in the well to do private individuals taking advantage of the development by acquiring lucrative sites from community members at giveaway prices. Mr. Bigirwa also explained that government should also restitute and reverse the colonial injustice and land grabbing of 90% of Bugungu to Budongo forest and Murchison Forest National Park, adding that in line with Article 178 of the Constitutional (Amendment) Act, 2005 for the regional tier government, operationalizes it for regional balance and equalization as an affirmative action. The petitioners also want the government to implement the Albertine special planning area where Ministry of lands under the World Bank has already done physical planning for eight towns including, Biiso, Butyaba, and Wanseko, but local government is lacking startup funds and wage bill from the Ministry of Finance.